St Georgeâ&#x20AC;&#x2122;s Anglican Grammar School; an exciting, innovative co-educational secondary school based in a high-rise building in the Perth CBD. 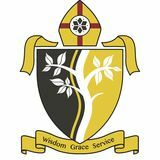 The School caters for local and international students in Years 7-12, and is a proud member of the Anglican Schools Commission network of schools in Western Australia. We are committed to child safety and protection, and expect all staff, volunteers, visitors to the School and contractors to respect and abide by all policies, procedures and practices developed and put in place by the Anglican Schools Commission (ASC) and/or the School in this regard. Complaints and Feedback policy and procedures. In addition to considering increased data collection to guide our decision making processes, the School has been working on developing a clearer system for feedback and complaints; one that is easily accessible, transparent and meets the needs of all community members. This includes a student friendly process. Our new process and documentation will be formally launched in the next 2-3 weeks, with students and parents/carers encouraged to review the information when provided, so you are familiar with the flowcharts and avenues for raising concerns or providing feedback. These will be available on the SEQTA portal and School website, with a hardcopy option for students on Level 1. It is hoped that this system supports our community in providing direction and resolving issues swiftly. able to secure some time to visit them and get a sense of their experience, which by all It was my privilege to accounts was AMAZING! It was pleasing, present to the Rotary but not surprising, to be given such positive feedback from the camp leaders who Club of Heirisson described our students as some of the most recently, to discuss our inner-city school polite, engaged and motivated groups they have had at the Centre. It is such a thrill to and the spend time with our young charges and transformation education is currently further develop the relationships that promotes and continues the positive culture undertaking. Whilst and respect our school holds so dear. developing some potential networks, it was pleasing to see the level of interest in what we are seeking to achieve at St George’s. Rotary, along with their partners, have been engaged in a project since 1979 to seek to end polio throughout the world. I am pleased to say, that as a thank you for my time in presenting, the Rotary Club have donated funds that will provide immunisation to 25 children, which is wonderful. On Wednesday March 27, I attended the Year 12 Perspectives event at the Perth Concert Hall to support two of our graduates from 2018. Massimo McKie and Dylan Merrick once again represented our school with pride. The Year 11 Drama class, along with Miss Cox, also attended to support and be inspired – further proof that once you are a St Georgian, you will always be a St Georgian. We share in these students success. As we move towards Holy Week and Easter, as a Christian community, we focus on God’s love for us and the powerful message of sacrifice and love shown to us in Our Lord’s Passion and Death. We too are reborn with Christ on Easter morning and take a renewed spirit forward with us each day. I hope families have time to take part in the Easter ceremonies in their local area and enjoy some restful time together, sharing joyful family moments over the Easter break. I look forward to both students and staff returning refreshed after the holiday period and seeking a productive and rewarding Term 2. As indicated in a separate mailout, the School has introduced an annual Student Survey, in addition to the new Parent Survey. This was released on Monday 25 March via the student school email, with a closing date of Friday 5 April 2019. Thank you to the students who participated in the survey and took the opportunity to have their say. The data collected will help paint a clearer picture on how we are performing Blessings from the students’ perspective, and hopefully provide some ideas as to how we can Gary Racey improve. With school holidays only one week away, it provides a great opportunity to relax and forget about school. However, for Senior students who will have exams half way through Term 2, it provides the perfect opportunity to get ahead in study and revision and reduce the stress closer to the exams. Some things to do to get ahead during the school holidays are: •	Catch up on notes you missed writing during the term; •	Revise all content covered during the term; •	Practice writing answers to past exam questions, under exam conditions; •	Enrol into a revision class for subjects you find difficult; •	Reward yourself for every 3 hours of successful study; and •	Enjoy your school holidays and take a couple of days off to have a break. to maximise their learning opportunities in the classroom. Phones are not suitable to use for reading text books or doing research and students will not be able to use a phone to replace a device that has not been charged. Please remind your child to charge their computer before going to bed and to avoid using the computer before school thus running down the battery. The latest statistics tell us that around 940,000 young Australians aged between 13 and 17 years use social media. This is roughly two-thirds of young people in that age category. We know from national statistics that about 1 in 5 young people experience cyber-bullying and this is supported by a recent survey of students in WA schools, which found that 1 in 5 students experienced bullying at school, with a majority of cases involving a component of social media use. These figures equate to around 60 St Georgeâ&#x20AC;&#x2122;s students experiencing issues. The consequences for children who experience cyberbullying are monumental. They can range from anxiety and social isolation to significant school avoidance, and at its worst, self-harm or suicide. At St Georgeâ&#x20AC;&#x2122;s, we try to remind our students as often as we can about the pitfalls of social media and the behaviours that are appropriate or not. Living by the THINK principle when posting is a good start to ensuring we all treat each other with the respect we deserve. to make sure the length is appropriate; hems must touch the top of the knee. Ties are the other item that often gets forgotten. Please remember that ties are compulsory for both boys and girls with the winter uniform. We look forward to seeing all of our students return, refreshed and looking their best on Wednesday 1 May. Our Term 1 On The Roof Concert took place on Thursday 21 March and was held on the roof for the first time since early 2017. The Concert was a wonderful night full of excellent performances and enjoyable moments. We had amazing solos, duos and bands performing. It was a very successful and amazing night, if not one of the best On The Roof Concerts we have had. All the students who performed were happy with how they played. If you didn’t get your tickets or sign up to perform for this one, there will be another concert in Term 2; the Music Festival and Battle of The Bands. Lachlan Spencer-Starkie 1. What instrument(s) do you play? Piano. 2. What first got you interested in Music? Listening to Music for the first time as a kid. 3. What’s the best thing about Music at St. G’s? The tours and minimal distractions there. 4. Why should other people do music? Because it’s fun and satisfying. 5. What’s your advice for anyone learning Music? Make sure no one distracts you when playing Michael Newton and play for others not just yourself. Music is Music Coordinator meant to be heard. We have had a busy term inside our Civics and History classrooms across Years 9 to 11. From hands-on history investigations to brilliant guest speakers, students have been enthusiastically discovering the world around them, the responsibility that comes with privilege and the people who have paved the way. Our Year 11 Politics and Law ATAR students had an expert teach them about the ins and outs of the process of how law is made in Parliament. Sharing his 16 years of experience as a Member of State Parliament and a Minister, Terry Waldron taught students about Ministerial Responsibility, the passage of a bill through Parliament, the role of Committees and shared real-life examples of laws introduced that have changed peoples lives in W.A. Students questioned him about arliamentary privilege, Royal Commissions and clarification about the reading of bills in Parliament. With only 11 students Terry was able to get to know students’ names and converse with them about the course concepts and everyday practise which allowed a very relaxed and interactive environment. It is incredible to get out of the textbook and online learning to discuss political process with someone who lived politics with passion and zest. Students madly took notes as Terry spoke because everything he spoke about was pertinent to their studies. experiences of campaigning and political activism. He provided students with historical context as a background to his case study of what democracy, freedom and rights mean and how it looks in a real-life struggle. He spoke about the work of Nelson Mandela and the African National Congress as well as his lucky escape to Perth where he became a student of the law. A valued new member of our school community, students enthusiastically invited him to return in future terms to speak to them about Civil Rights Movements and to share his legal knowledge and experience. We are grateful to have such fantastic parents with amazing experiences to draw on and share. Additional photos show the Year 9’s exploring history through primary sources and a model of World War I frontlines. They are exploring the perspectives of Aboriginal soldiers who served from Western Australia and other extraordinary young men and women who were quick to volunteer. This class will be planning and conducting our ANZAC Day Ceremony in Term 2 having studied the impacts of war and considered the sacrifices made by every day Australians. Lieutenant Colonel Matthew Beck will be our guest speaker for the ceremony and we look forward to hearing his reflections on the day. -Courtney Evans. Mark Cox very generously gave his time to speak to the Year 10 Civics and Citizenship class about his experiences working for the African National Congress to fight for the democratisation of South Africa in the 1980s and 1990s. It is priceless to hear from people who have lived the ideas we’ve learnt about in class. Science has been having a very busy term. All classes have been working hard through their lessons and been engaging in the learning opportunities provided by the Science staff. The Year 11 Physics students have been to Mercedes College, to work in their labs using radioactive materials. Upcoming events include the Science and Engineering Challenge for some Year 9 and 10 students, and the Year 11 Psychology class will have an incursion from Mindz, where they will have their brain waves measured! We have celebrated Pi Day with our students, learning about the irrational number and some of the fun facts involving Pi. Some students, parents and staff attended the RACI Lecture held at UWA on Tuesday 14 March. Our Year 9 group visited Herdsman Lake. One student provided a write up on this excursion. The Year 10’s have completed their Stand-up Paddle Boarding (SUP) lessons at Matilda Bay. On the final lesson we were truly blessed with perfect conditions on our magical Swan River. The still winds enabled us to complete a long-distance paddle. The Supa-SUPS encouraged coordination between four paddlers where collaboration and team work were the essence. The individual SUPS enable students to feel the meditative effects that being on the water can provide. Outdoor Education challenges the individual and reward comes through achievement and progress. We saw that achieved within our Year 10 students, who paddled confidently to a famous Perth photography spot as seen below. 2019 Inter-House Cross Country 7 May 2019, 9:00 am -12:00 pm Supreme Court Gardens Year 8’s have entered into Super 8’s, which is a modified Cricket match encouraging maximum participation. They have played well, and the tournament continues. Selected students will then compete in the ACC Cross Country on May 30 at Alderbury Reserve, Perry Lakes. This carnival brings all competing Associated and Catholic Colleges Schools together. To avoid fees in lieu being charged, notice of a student’s withdrawal must be received by the School before the first day of the School Term preceding the Term of the student’s departure. If this does not occur, families will be charged the remainder of the current Term, plus an additional Terms fee in lieu. Upon withdrawal of a student from the School, all fees and charges incurred for that student are payable to the School in full within seven days of exit. SEQTA The St George’s Anglican Grammar School SEQTA account is not assigned to a staff member and, therefore, is not monitored. Please contact the staff member directly to ensure prompt action to your message. The School Enrolment Policy requires one full term’s notice in writing prior to the withdrawal of a student from the School. Where such notice is not received, the School will charge an amount equal to the tuition fees for that current term. If the account has been paid in full and a refund is due, payment will be processed for the full refund due within seven days of exit. St George’s uniforms are purchased from Matrix Uniforms Showroom, 1 Hasler Road Osborne Park or online. Uniform fittings are available from 8:30 am to 4:00 pm Monday to Friday. Scholastic Excellence has been helping students for more than 10 years with highly effective small group tuition classes. We are organising Holiday Revision Classes in the coming April (Term 1) holidays to help students revise topics covered in Term 1 and prepare them for the coming Semester 1 Exam in Term 2. Please visit our website www.scholasticexcellence.com.au or call 0410 121 509 if you have any enquiries about our programs. The Science Department needs your help! Donations of any old working fish tank accessories will be gratefully received to fit out our 2 new fish tanks. We are seeking Including: •	Gravel; •	Lights; •	Filter and Air pumps; •	Decorations (Plastic plants etc); and •	Large sheets of acrylic or polystyrene. Also, any ice cream containers (any size, with or without lids) will also be accepted. Students can bring their donations in directly to the Science department or their Science teacher. 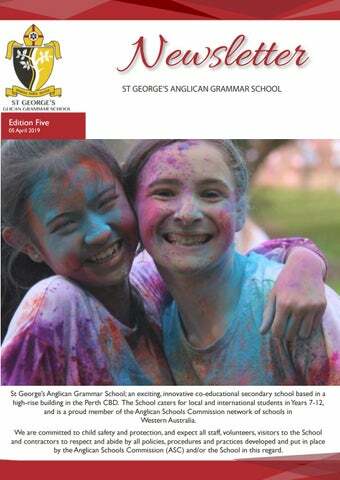 Friday 5 April 2019 - welcome to Edition 5 of the SGAGS School newsletter for 2019. We hope you enjoy reading.